Botanical Vegetables Printable – Wonderful! Today I’m sharing a fantastic Botanical Vegetables Printable! 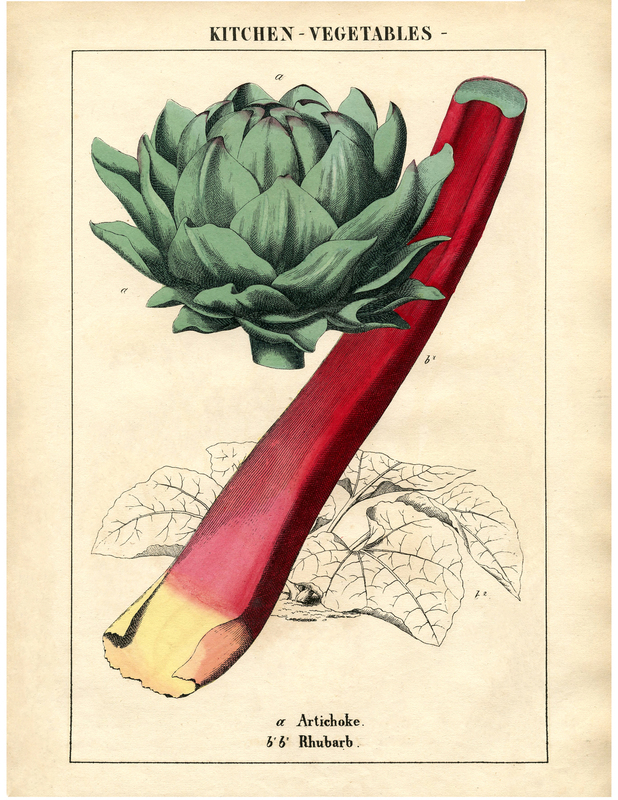 Shown above is a marvelous Antique Print showing a lovely green Artichoke and a stalk of Rhubarb! The title of the print has the words “Kitchen Vegetables” on it. Wouldn’t this look great framed and hanging in a kitchen!! This one was scanned from a Circa 1860 Antique British Botanicals book, that I recently added to my collection. I’ll be sharing lots more of these with you guys! 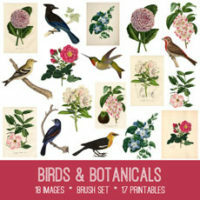 And if you like Antique Botanical Printables, you might also like the beautiful Red Rose from HERE. Thanks Karen – rhubarb is one of my favourites! More appealing in the picture, than it tastes, thanks.